The purpose of this event is to help guide participants’ altruistic desires into effective careers that not only provide a modicum of personal financial security but also a means for greatly improving the world. Experts will offer case studies and tailored career advice for those interested in pursuing many types of positive change. Some communities code together, others are built on environmental sustainability, etc. Building on our last unconference in San Francisco, we will offer a special track to help participants find and start communities of their own. 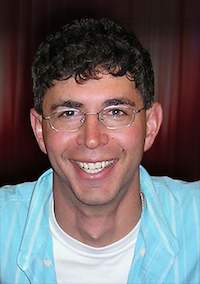 Yoram Bauman is a PhD environmental economist and “stand-up economist.” He is the founder of the revenue-neutral carbon tax proposal (I-732) that will be on the ballot in Washington State in November 2016. He has been working on environmental tax reform since 1998, when he co-authored the book Tax Shift, which helped inspire the revenue-neutral carbon tax in British Columbia. Bauman also co-authored the Cartoon Introduction to Climate Change and the two-volume Cartoon Introduction to Economics. 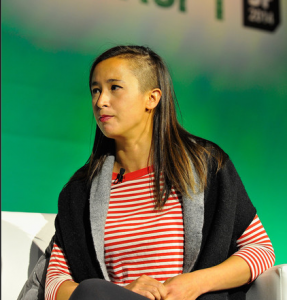 Kim-Mai Cutler is a technology reporter and columnist for TechCrunch, best known for her work on the intersection of technology and culture in the Bay Area. Previously, Cutler worked for Bloomberg,VentureBeat, and the Wall Street Journal. She attended UC Berkeley where she served as editor of theDaily Californian and has lived in London, New York, and Buenos Aires. 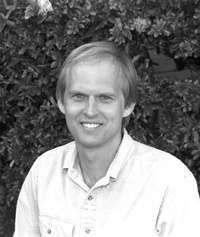 Robin Hanson is associate professor of economics at George Mason University and a research associate at the Future of Humanity Instituteof Oxford University. He is known as an expert on idea futures and markets, and he was involved in the creation of the Foresight Institute’s Foresight Exchange and DARPA’s FutureMAP project. He invented market scoring rules like LMSR (Logarithmic Market Scoring Rule) used byprediction markets such as Consensus Point (where Hanson is Chief Scientist), and has conducted research on signalling. 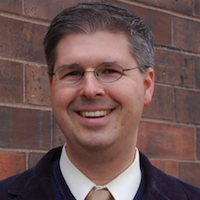 Charles “Chuck” Marohn works as a licensed engineer in the State of Minnesota. He is a member of the American Institute of Certified Planners and founder and president of Strong Towns, a national media organization that supports the development of resilient cities, towns, and neighborhoods. Marohn holds a Master’s degree in Urban and Regional Planning from the University of Minnesota and a Bachelor’s degree in Civil Engineering from the University of Minnesota’s Institute of Technology. He is the author of Thoughts on Building Strong Towns. Volume I and A World Class Transportation System. 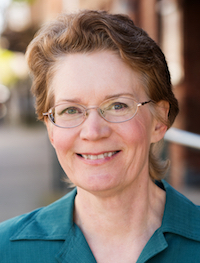 Christine Peterson writes, lectures, and consults on powerful technologies including nanotechnology and life extension. She is the co-founder and past president of the Foresight Institute, a leading nanotechnology public interest group. Peterson serves on the Advisory Board of the Machine Intelligence Research Institute and previously served on California’s Blue Ribbon Task Force on Nanotechnology as well as the Editorial Advisory Board of NASA’s Nanotech Briefs. Peterson’s work is motivated by the desire to help the Earth’s environment and traditional human communities avoid harm and benefit from dramatic advances in technology. Julia Bossmann is the president of Foresight Institute, a leading NGO on world-changing technologies such as nanotechnology, biotechnology, and artificial intelligence. She holds a Masters degree with highest honors in brain & behavioral sciences from the University of Dusseldorf and neuroscience from USC. Julia’s professional experience includes scientific research in labs in Germany and in the USA, management consulting at McKinsey & Company, technology R&D at Bosch Research and Technology, and entrepreneurship at Anticip8and Synthetic. Are you interested in speaking or hearing about a particular topic? Please let us know by filling out this form. Sonja Trauss (San Francisco Bay Area Renters’ Federation)Sonja Trauss is a principal at SF Bay Area Renters’ Federation, which agitates in favor of market rate development, because increasing supply is the only way out of SF’s housing problem. Previously, Sonja worked as a high school math teacher and as a hotline paralegal specializing in foreclosure defense for thePhiladelphia Legal Assistance. She holds a B.A. in Philosophy from Temple University and a M.A. in Economics from Washington University in St. Louis. Ted Gwartney currently serves as President of Robert Schalkenbach Foundation (RSF), a non-profit organization established in 1925 to spread awareness of the ideas of the social and economic philosopher Henry George (1839-1897). In 2012, Gwartney retired from a long career as a City and County Assessor. His positions included Assessor for the Cities of Greenwich, CT, Bridgeport, CT, Hartford, CT, and Southfield, MI. He also served as Deputy County Assessor of Sacramento, California. Gwartney holds an MAI in Professional Designation from theAppraisal Institute. Jessica Jane Robinson holds a BA degree in Performing Arts and Social Justice, minor in dance from the University of San Francisco. She participated as Miss Alameda for the 2010 and 2011 Miss California USA pageant, with the platform of reducing landfill, greenhouse gas emissions, promoting clean technology and energy. Jessica is an environmental advocate, producer, director, actress and ballerina. Jessica is now focusing her energy on “Resilience: Birthright,” a trans-media project, addressing the global emergency of climate change, sea level rise and the trashing of our planet. Steve Barton is the co-chair of the Committee for Safe & Affordable Homes, established to support passage of a windfall profits tax on residential landlords on the November 2016 ballot in Berkeley, California. He previously served as Berkeley’s Housing Director, and Deputy Director of the Berkeley Rent Stabilization Program. He is the author of numerous articles on housing policy and economics, as well as on the history of the Georgist and Socialist movements and has a Ph.D. in City & Regional Planning from the University of California, Berkeley. Owner of Panoramic Interests, a development firm that has been building housing, live-work space, and commercial property in the Bay Area since 1990. The firm has focused on dense, mixed-use, mixed-income, infill developments, typically financed with private funds. Alexandria Lafci is the Head of Operations and Co-Founder of New Story—an innovative nonprofit that transforms slums into sustainable communities around the world. Alexandria has a decade of work, academic, and volunteer experience in domestic and international development. Alex Lofton is the co-founder of Landed, a San Francisco based startup helping people access homeownership with down payment support. Lofton believes co-investment models in housing both drastically improve how our cities work and how the average person builds wealth. Aaron Fernando is highly passionate about money reform and believes that local currencies address a wide range of problems including inequality, environmental degradation, and the erosion of social capital. He formerly worked in the nonprofit sector in Washington DC, spent some time traveling, and ultimately moved to the Bay Area specifically to work with Bay Bucks. Aaron holds a B.A. in International Development & Social Change with a focus on Economics from Clark University. Mike Lomuto is dedicated to strengthening the local small business community in the Bay Area. After four years of development, Mike is on the verge of launching Jao PraYa, a Traditional Asian Medicine services on-site to local corporations. A primary objective of Jao PraYa is to provide dynamic, family-friendly opportunities to practitioners that empower them to preserve the integrity of their medicine. Long-term, the goal is to provide these preventative and affordable services in clinical settings to the community-at-large. Gustavo Aguirre has over 34 years of experience working as a United Farm Workers (UFW) union leader and organizer. He served as UFW National Vice President from 2000 to May 2006. In June 2006, Aguirre joined the Center on Race, Poverty & the Environment, supporting the organization’s efforts to develop community leaders and build stronger communities. Joshua Vincent has been an Executive Director at the Center for the Study of Economics since August 1997. Vincent has worked pro bono and as a consultant to over 75 municipalities, counties, NGOs and national governments. Vincent is the editor and publisher of Incentive Taxation, a journal that reports on land value taxation. Marco Vangelisti came to the US as a Fulbright scholar in mathematics and economics at the University of California in Berkeley. He holds an MFA focusing on the intersection between public art and ecology and later worked for 6 years managing investment equity portfolios primarily on behalf of large foundations and endowments. In April 2009 Marco left the finance industry and has since been instrumental in the formation and development of the Slow Money Northern California chapter. Marco is currently developing Essential Knowledge for Transition – a curriculum for engaged citizens to understand the money and banking system, the economic system and the financial system and how we need to transform them. 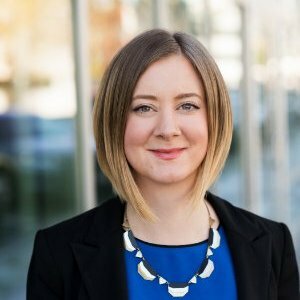 Chelsea Rustrum is a sharing economy author, facilitator, and consultant with deep practical knowledge and hands on understanding of how the collaborative economy has come to fruition, grown, and continues to evolve business. She’s the author of It’s a Shareable Life, the founder of a social and educational series in the Silicon Valley, dubbed The Sharers. Lifelong STEM educator, Frank has 15 years experience facilitating learners both from across the United States as well as abroad in fairly different educational settings. Former Director and Instructor at the Henry George School of Philadelphia and current Director of The Earth is Everyone’s Birthright. Catherine Ndungu-Case is the founder of the Cheza Nami Foundation, a non-profit organization whose goal is to promote cultural diversity and global citizenship through African Culture and performing arts. She is originally from Kenya, holds a master’s degree in cell and molecular biology and currently works in the clinical research field. She also has great passion in creating programming that fosters interconnections between people. Catherine was recently featured in Diablo Magazine’s top 40 under 40 for her contributions to the community. Quisia is a board member at Robert Schalkenbach Foundation (RSF), a non-profit organization established in 1925 to spread awareness of the ideas of the social and economic philosopher Henry George (1839-1897). After becoming a medical doctor at the Universidade de Pernambuco in Brazil, Quisia Gonzalez returned to her native Honduras, where she practiced medicine for three years until she moved to the US in 1989. She has worked extensively in the field of education, including adult basic education and literacy, as well as parenting and HIV counseling. In addition, she has been active in labor organizing at the Latino Workers enter, and is co-founder of the Proyecto de los Trabajadores Latinoamericanos, advocating for fair wages and immigration reform. Quisia taught at the Henry George School in New York for over 11 years and served on the school’s board for 5 years. Her personal experience in Latin America inspired her interest in Henry George and her commitment to Georgist principles. She is a fervent activist for economic justice, human, and indigenous rights. Kiki Mwitie is an emergent leader and serial entrepreneur in the fields of technology and global investment. Born and raised in Nairobi, Kenya [Africa’s tech hub] she watched the rapid rise of innovation across Africa and the dissemination of new forms of industry and markets. In 2008, she founded Urban Global Ventures [UGV], to strategically position and develop global firms for investment. Athol has worked with the UK poverty-alleviating organization Groundswell since 2003, taking on the role of Chief Executive in 2006. His previous employers include Cardboard Citizens, Amnesty International UK and National Homeless Alliance. Kris Nelson is a Principal at Phoenix Finance, which provides access to capital without collateral to small businesses and startups. He also serves as Legislative Director of Common Ground OR-WA, a non-profit organization that promotes a more democratic treatment of land and natural resources. Previously, Kris worked as a Principal at Genomics Consulting, where he helped launch a venture capital firm in clean technology. He holds a Master’s degree in Business Administration from Willamette University and a Bachelor’s degree in Journalism from Evergreen State College. Robin Hanson is associate professor of economics at George Mason University and a research associate at the Future of Humanity Institute of Oxford University. He is known as an expert on idea futures and markets, and he was involved in the creation of the Foresight Institute’s Foresight Exchange and DARPA’s FutureMAP project. He invented market scoring rules like LMSR (Logarithmic Market Scoring Rule) used by prediction markets such as Consensus Point (where Hanson is Chief Scientist), and has conducted research on signalling. Administrative Director of the Henry George School of Chicago, a non-profit educational organization which provides educational opportunities to the public on the topic of classical political economy. He serves as a board member for the Center for the Study of Economics. Previously, he has worked with the Institute for Ethics and Emerging Technologies. Julia Bossmann is the president of Foresight Institute, a leading NGO on world-changing technologies such as nanotechnology, biotechnology, and artificial intelligence. She holds a Masters degree with highest honors in brain & behavioral sciences from the University of Dusseldorf and neuroscience from USC. Julia’s professional experience includes scientific research in labs in Germany and in the USA, management consulting at McKinsey & Company, technology R&D at Bosch Research and Technology, and entrepreneurship at Anticip8 and Synthetic.